The State Pension triple lock has taken another bashing. A committee of MPs has released a report calling for the picking of the arrangement which dates back to 2010. This guarantees that pensions will rise by the higher of inflation (measured by the Consumer Prices Index), average earnings growth or 2.5%. They say: “…the triple lock will by 2020 have achieved the Government’s objective of securing a decent minimum income for people in retirement…”Job done, it appears. 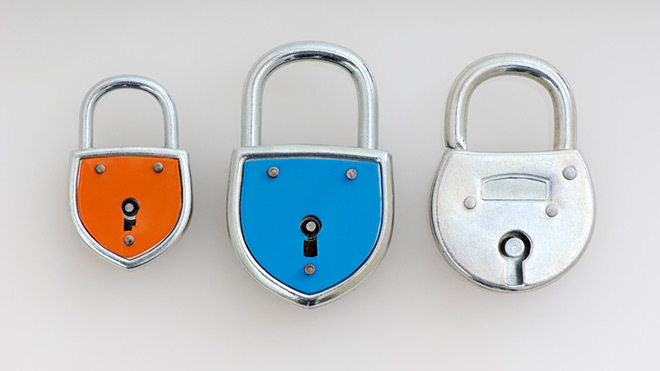 But here are five reasons why we should be cautious about scrapping the triple lock. The Basic State Pension pays £119.30 a week, while the new State Pension (introduced in April) is £155.65 at its full rate. This is 18.4% and 24%, respectively of average weekly earnings for full-time employees, which reached £648 in 2016. Because not everyone has full entitlement, the average amount of Basic State Pension received is £96.86 a week – that’s just 14.9 per cent of average full time wages. Some 45% of pensioner couples and 71% of single pensioners receive more than half their income from state pensions and benefits. Among the current generation entering retirement many, though not all, supplement their state pension with decent defined benefit pensions that pay out an income based on length of service. But in the next few years more and more people will be getting into later life with little in the way of private saving. The State Pension will be particularly important to the standard of living. The so-called earnings-link, which saw the State Pension increased in line with wages was abolished in 1980s, and the value of the state pension fell sharply after that point. The introduction in 2010 of the triple lock was an explicit attempt to rebuild the value of the State Pension. And although, the value of the State Pension has risen in real terms, it is still someway short (see point 1) of replacing 26% of pre-retirement income as it did in 1979. Given projected earnings and pension growth, in order to build up the value and re-establish the link between wages and retirement, the triple lock would need to be in place for at least another three decades. The triple lock is often presented as part of a policy programme that benefits the old at the expense of the young. But triple lock indexation helps ensure that people experience an adequate standard of living during retirement. If you undermine the real value of the State Pension, something else has to take its place, if people’s incomes in retirement are not to be reduced. According to the Pensions Policy Institute “Changes to the triple lock may mean that the younger generations of workers are actually more disadvantaged as they have to sacrifice more of their salary to private pension saving, or risk relying on state benefits during retirement.” A lower State Pension could mean more people will be eligible for means tested top-ups in retirement. This could erode the incentive for additional pension saving. The UK State Pension is the 10th lowest in an OECD country. Provision is far more generous in countries like Spain, where the State Pension replaces 82% income, Austria (78%) and Luxembourg (77%). The language of inter-generational conflict serves to obscure stark inequalities within generations. Many pensioners are not wealthy. The poorest fifth of single pensioners have median net incomes of £106 a week after meeting housing costs, while the richest fifth receive £405. For couples the figures ware £223 for the poorest fifth and £868 for the richest fifth. Younger pensioners have higher incomes than those aged 75+, and couples have incomes over twice the level of those of single people. Neither has pensioner poverty been eradicated. Some 1.6 million pensioners in the UK live in poverty (with incomes below 60% of median household income after housing costs).Women are more likely to be in poverty than men, older pensioners (especially those aged 85+) more at risk than younger ones. Single people living alone, private tenants, and Asian pensioners are at particular risk, says AgeUK. Young people need to think about when they get old. They will be affected in the further as much as those who are affected now if the triple lock is picked. Another and usually conveniently forgotten reason for retaining the triple lock is that pensions are only a fraction of earnings. Thus every 1% increase in pension results in far less actually money than a similar 1% applied to earnings. In overall percentage terms, pensions appear to have increased well, but in actual cash terms it’s not so much at all.